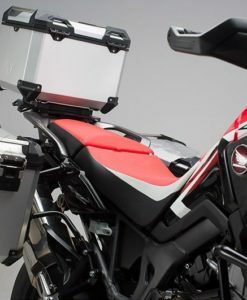 Tough  Honda Africa Twin CRF1000L ’16 adventure panniers for rugged overland and all terrain use. 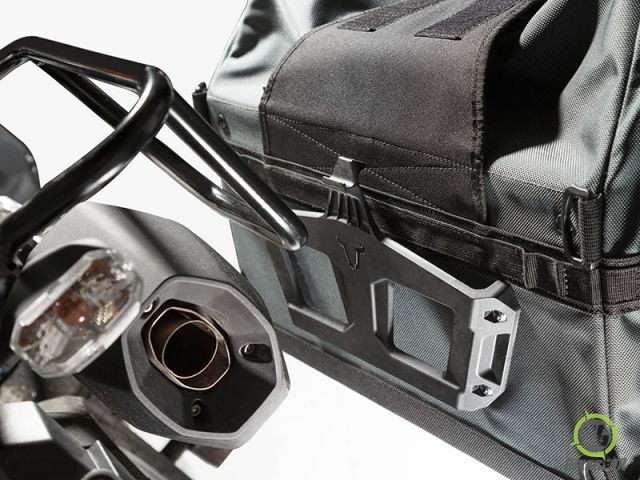 The Dakar soft pannier system from German specialists, SW Motech is the ultimate hard-core off-road / Dual Sport / Enduro motorcycle saddle pannier bag accessory: built for the toughest of adventures, regardless of terrain. 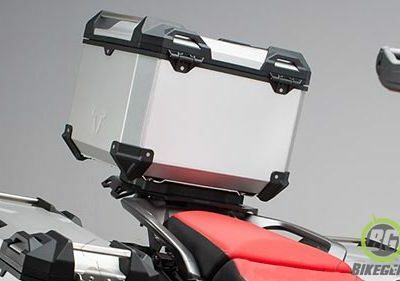 Includes custom Honda Africa Twin CRF1000L luggage racks for a perfect fit and optical integration. 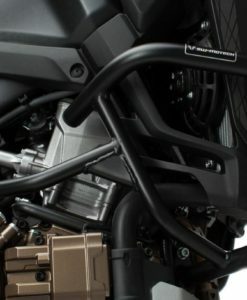 Unique semi-rigid ABS honeycomb core for easy packing and extra protection ensure the panniers retain their shape. 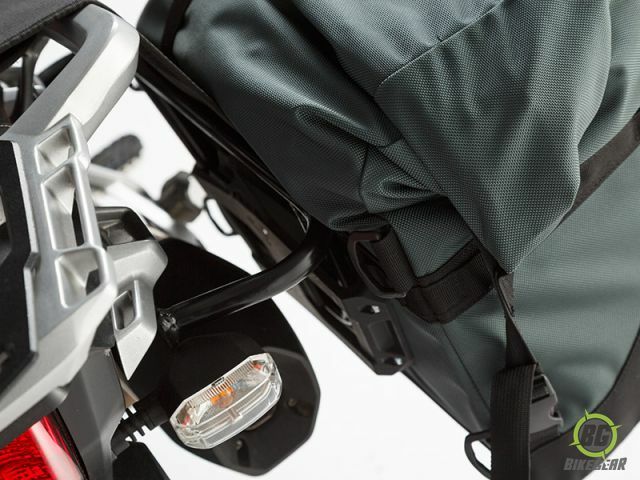 Waterproof Inner bags are removable when you reach your destination. 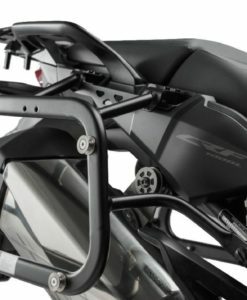 Saddle bags can therefore remain on the bike. Velcro closure, roll down top with no zips creates a waterproof seal and bag. 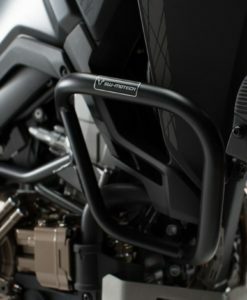 Securing tabs fit across the pillion seat with a Velcro fastening to support the load. Daisy chains on outer edges of bags are perfect for securing additional items e.g. Fuel cells. 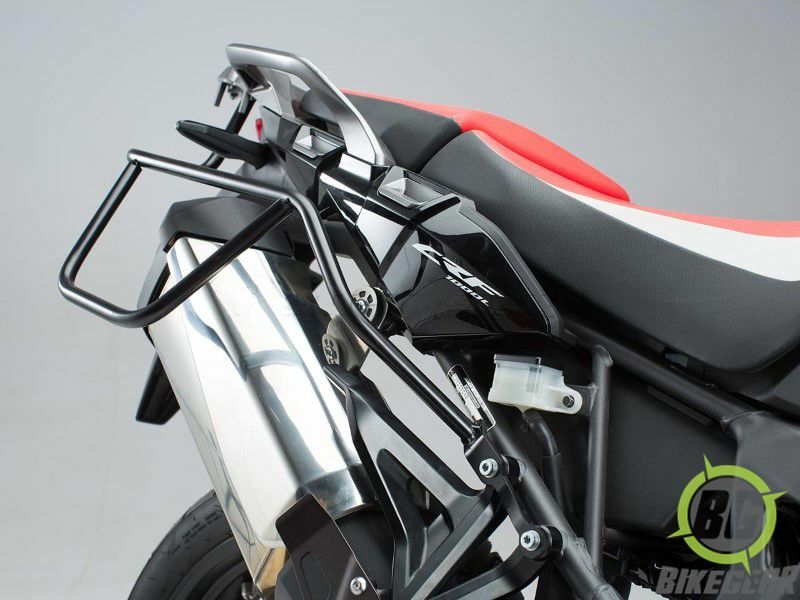 Does not restrict movement, safety or comfort of pillion passenger. 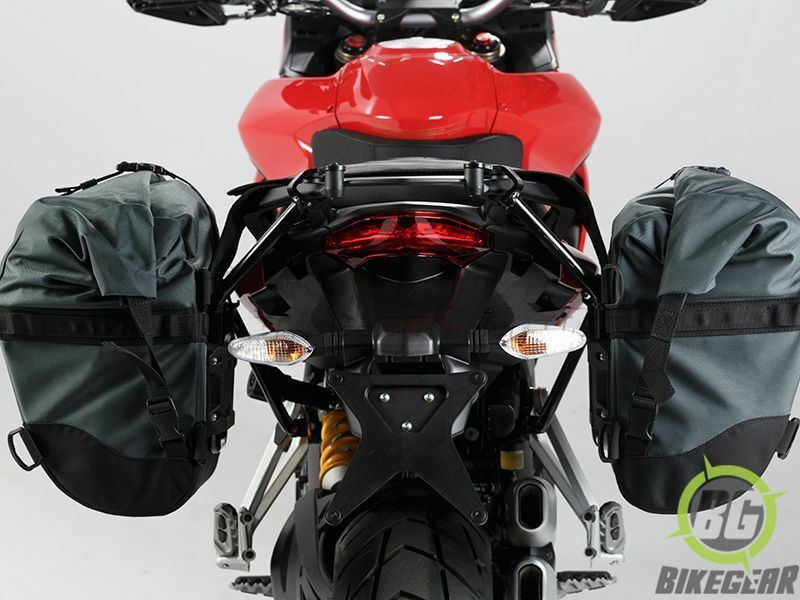 2 Dakar Motorcycle Saddle Pannier Bags. 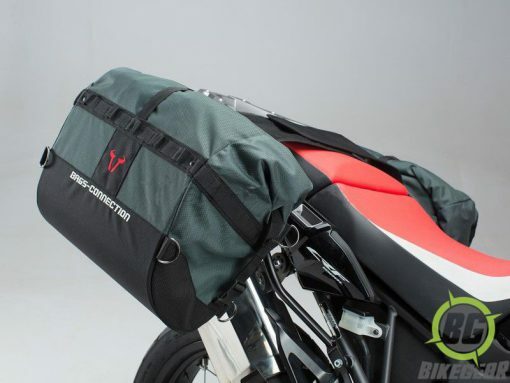 2 removable waterproof inner bags. Volume: 32 liters per bag (64 liters total). Size: 35 x 45 x 25 centimeters (h x w x d) per bag. Weight: 1.5 kg per bag. Material: 1680 D Ballistic Nylon. 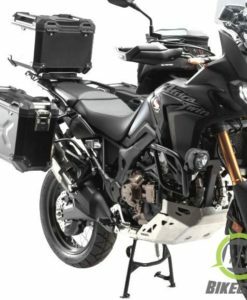 Trax Adventure Side Pannier Kit consists of two TRAX ADVENTURE motorcycle side cases, also included are QUICK-LOCK EVO side carriers, adapters and locking system.